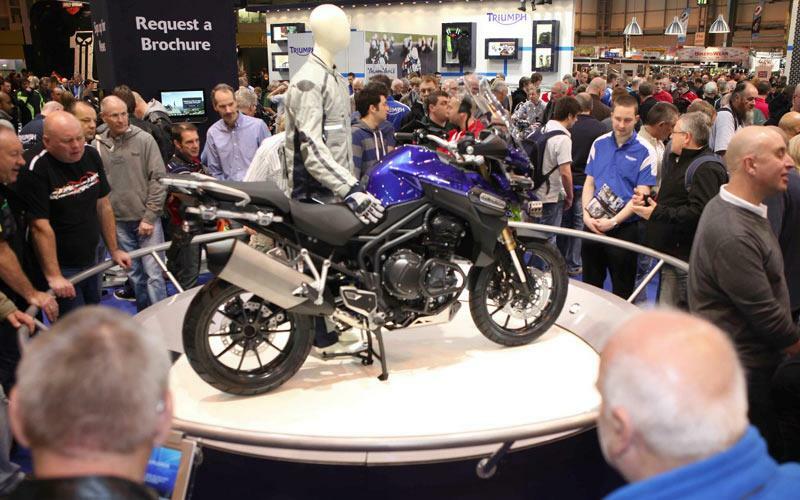 The new Triumph Tiger Explorer 1200 and Speed Triple R will head Triumph's stand at this year's Carole Nash MCN Motorcycle Show, on February 2-5. The Triumph Tiger Explorer - aimed squarely at the BMW R1200GS - features an all-new 1215cc three-cylinder engine producing a claimed 137bhp and goes on sale in March, priced at £11,149. The new Speed Triple R makes the standard bike even better, with Ohlins supsension front and rear, Brembo brakes and forged alumium wheels. The Speed Triple R will be in showrooms from late February, at a price of £11,299. Other bikes from Triumph's range will be at the show, including the Rocket III, Street Triple and Bonneville. Luke Jones Triumph Triple Challenge race bike will also be on display. 1. See Revolution AND the Carole Nash MCN Motorcycle show from just £20! Plus kids go free (one per paying adult). See www.mcnmotorcycleshow.com for more details of the show and tickets. 2. You can be a VIP. Special tickets will get you the best seats in the Revolution show arena plus free parking, free refreshments and an autograph session with the Revolution stars. 3. See all the 2012 bikes in London for the first time. The main hall will include all the machines from all the major motorcycle firms. 4. It’s easy to get to from the South East. ExCeL is in Docklands, London – just 3 minutes walk from a DLR station. 5. It’s easy to book. Just call 0844-581-4924 or go online at www.mcnmotorcycleshow.com and quote ELM300.